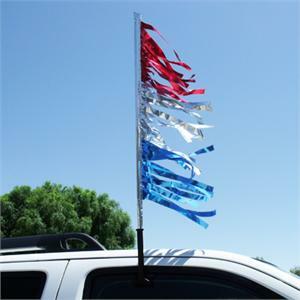 3' Tall Flag Kits - No Antenna! No Worries! Each kit includes one Antenna Flag and one 36" pole with window clip. Poles are also sold separately(EZ619).